Dr. Pratik Vakil, DMD, MA is an experienced and compassionate dentist, using the latest technologies to provide excellent dental care. Dr. Vakil is a native Houstonian, grew up in Cypress, Texas and attended Cypress Falls High School. He then continued his education by receiving his Bachelor of Science in Biology at University of Texas, San Antonio. Dr. Vakil received his dental degree from Boston University School of Dental Medicine in Boston, MA while receiving his Masters of Medical Sciences at Boston University School of Medicine. Dr. Vakil performed his Dental Residency at Interfaith Medical Center in Brooklyn, New York. 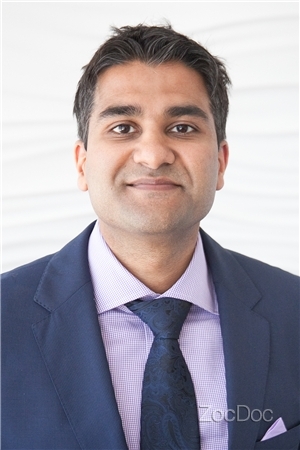 Dr. Vakil focuses on keeping up to date with all of the latest advancements in dentistry and medical technology, enabling him to practice at the highest level of dentistry and provide the best quality of care in the field. His expertise ranges from the most challenging cosmetic and restorative dentistry treatments to the most complicated surgeries performed today. His continuing dental and medical practice education included attendance at numerous symposiums and educational forums in implants, bone augmentation, orthodontics, full mouth reconstruction, sleep apnea, among many others. When Dr. Vakil is not practicing dentistry, he enjoys spending time with his wife and chasing around his twin niece and nephew. His hobbies include reading, traveling, and rooting for the Texans!